Home / JOB VACANCY / JOB OPPORTUNITIES AT JSI RESEARCH AND TRAINING INSTITUTE: IT SPECIALIST IS WANTED. JOB OPPORTUNITIES AT JSI RESEARCH AND TRAINING INSTITUTE: IT SPECIALIST IS WANTED. The IT Specialist is a full-time position and will be based in Dar es Salaam, Tanzania. S/he will set up and maintain the IT systems and provide ongoing IT support for the Community Health and Social Welfare Systems Strengthening Program. 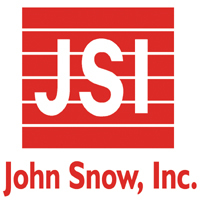 JSI is a public-health company, not an Information Technology company. The mission of the Information Technology Specialist at JSI is to support the public health work that we do as part of the CHSS Program. The IT Specialist reports to the Senior Finance and Operations Manager. Occasional travel to the Zonal offices to support IT systems set-up in new offices and provide ongoing support as needed. To apply, please submit a CV and cover letter to Chief of Party, atchss.recruitment@gmail.com by April 02nd, 2018, thank you.